Welcome to another #ToyTuesday linky, this week I’m talking January sales – have you managed to pick up any bargains? Both Roo and Tigger were lucky enough to get some money and vouchers for Christmas so they have been eager to spend this in the sales. Whilst Tigger didn’t buy anything on sale he was very happy with his new LEGO fire engine, Roo however wanted to make the most of her money so has managed to pick up several Skylanders and Disney Infinity figures from our local Sainsburys for as little as £1.50 each – bargain! Before Piglet arrived late last year I had some friends mention toys that their little ones had loved within the first year. 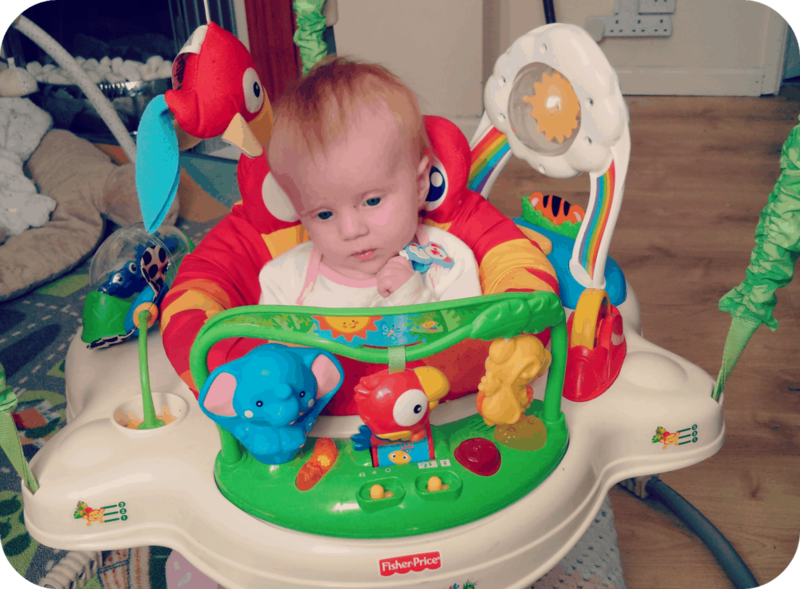 One of those toys was the Fisher Price Jumperoo which I was unfamiliar with but thanks to Babi a Fi for linking up her review I know now that I MUST buy one for Piglet when she gets a little older. This week I’m sharing with you a book from my childhood, The Secret Garden which I have recently been lucky enough to receive a leather-bound edition for Roo to enjoy. This story brings back many memories and I managed to catch the film version on TV over Christmas.